Packaging serves as one of the most influential forms of communication between a product and a consumer. Almost every product on the market needs to be packaged. The better the packaging is, the more likely a consumer will be enticed to purchase it. Consumer packaged goods are highly competitive and it can be difficult to differentiate your product. How can you stand out? An innovative packaging design can be the draw you need to attract new consumers. Our courses on design touch an array of topics. Whether you want to learn the foundations of packaging design, the various design theories, the psychological side of design, or how to use structural packaging design software… The Packaging School can help! 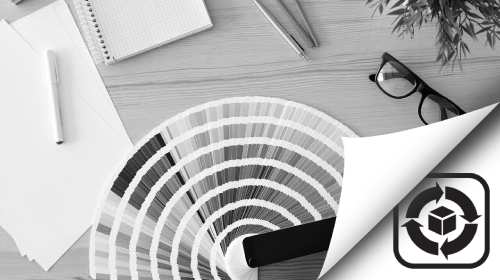 In this course, we Review design terminology, highlight important design theories, such as typography, color, imagery and materials. We discuss how to best approach a project with your team and leverage iterative development to build winning designs. There is a lot of cover in packaging design, but this is the first step: making sure you have a solid foundation and workflow when starting a project. You will receive Dr. Andrew Hurley's RFP guides and the design brief template and strategies he's used to launch over 100 package designs to market. The average grocery store has 39,500 products and the average super center has 120,000. How can you disrupt the shelf and stand out from the rest? The answer is knowing and utilizing human factors, also known as ergonomics. No matter our culture, our language, our color, or our gender – human factors are the psychological and sociological ways that we are all hard wired. How we perceive. How we think. How we’re attracted. How we act.